The headteacher of a Birmingham school has defended a decision to stage a fire drill - slap in the middle of an A-level exam. 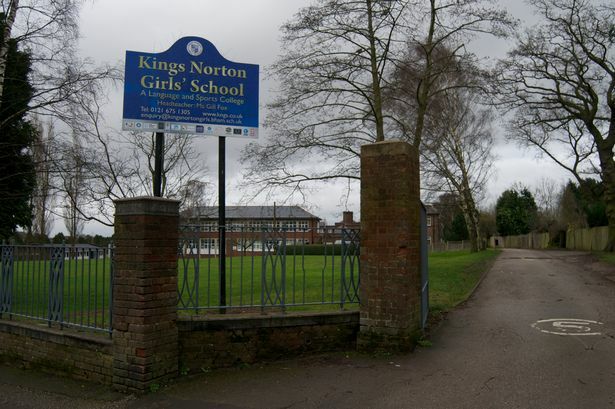 Kings Norton Girls&apos; School came under fire from angry parents after their teenage children were forced to walk out of their practical biology exam because of a fire alarm test. Worried parents fear their children&apos;s exam results could be affected by the drill which meant they had to stand outside for half an hour. One parent, who wished to remain anonymous, said: "The pupils had to stop halfway through to go outside for 30 minutes for a practice fire drill, disrupting the exam. "The deputy headteacher, who organised the fire drill, claimed that she didn&apos;t know such an important exam was talking place. It really does beggar belief." But head teacher Gill Fox defended the drill, which happened on April 29, insisting that it had not "disadvantaged" the pupils. She said the drill formed part of the Selly Oak Road school&apos;s "strict adherence to health and safety requirements". "An A-level practical examination which was taking place at the same time was suspended for approximately 30 minutes," she said. "The examination was not time-limited and, on returning to the classroom, students were able to continue at their own pace until the work had been completed. "I would encourage any parent who is concerned about their child&apos;s examination results to speak to the school in the first instance. I am always very happy to speak with them in person. "I have also notified the examination board of this event, as is standard practice, but I am confident that our students were not disadvantaged." It comes after the school, rated as ‘good&apos; by Ofsted when it was last inspected 18 months ago, hit the headlines in March when it banned its pupils from going outdoors during the solar eclipse on health and safety grounds. Experts had recommended the eclipse be watched through special glasses or pinhole cameras to avoid eye damage but Ms Fox said she did not want to take any chances and ordered pupils to remain indoors as the spectacular event unfolded. At the time, she said: "As a school our paramount concern is for the safety of our students. "The girls cannot safely go outside to experience the eclipse without the appropriate eyewear. All staff were sent a live link so classes could see the eclipse as it happened from the safety of the classroom. "As all our classrooms have external windows, students got a sense of the darkening day. "A group of photography students were also visiting the Clent Hills under closely controlled conditions so they could capture images and bring them back into school."